Statement making. 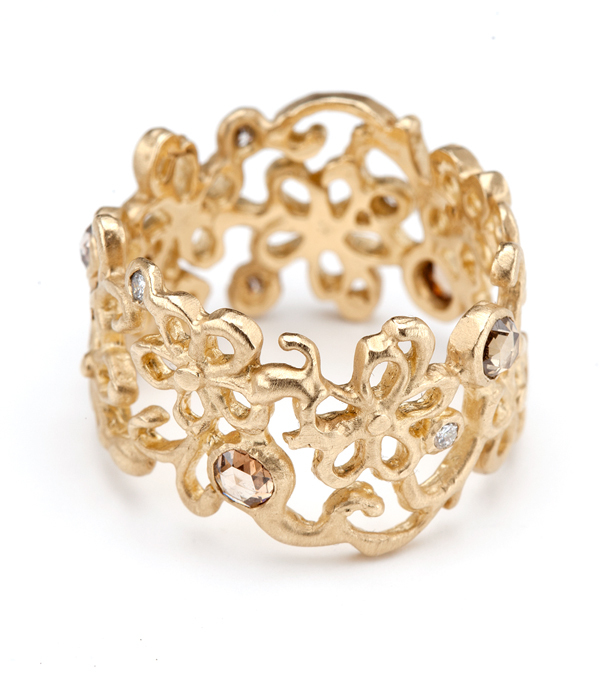 This scrolling flowery lace band looks equally great with an evening dress or a pair of jeans. The band sparkles with scattered champagne rose cut diamonds and ornate openwork. 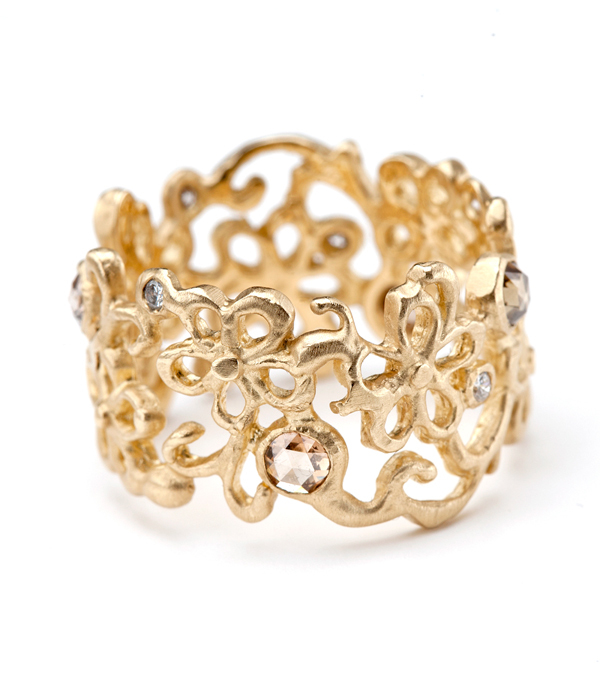 This piece would make a stunning engagement ring for a romantic bride with a non-traditional flair! Categories: Earth and Sky, Rings, Women's Wedding Bands.